President Ronald Reagan was many things: a lifeguard credited with saving 77 people, a sporting goods salesman, a college football player, a U.S. Cavalry officer, a Hollywood actor, a television spokesman, California's Governor from 1967-1975, and the 40th President of the United States of America from 1981-1989. 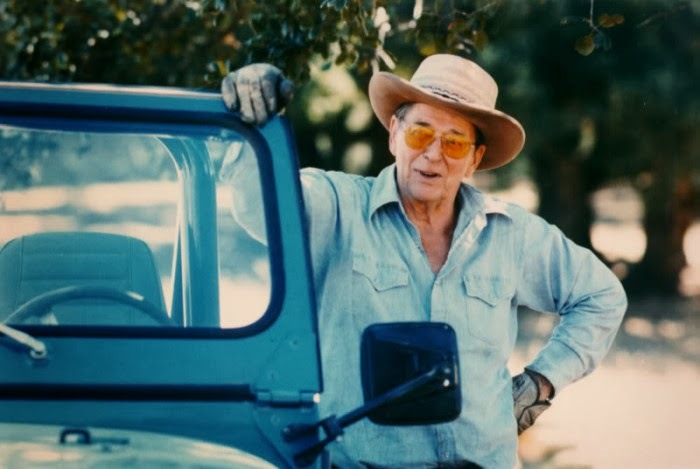 Most famous for his Presidency, his Libertarian views and economic policy helped pull us out of a depression and into a 25-year economic boom. He drove liberals nuts, and to this day he's the kind of leader whom conservatives wish they could find again. 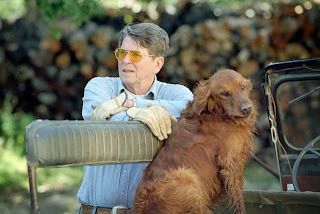 His steadfast leadership as President helped us win the Cold War and avert nuclear war. Ronald Reagan was a man's man. 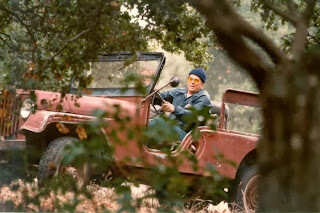 What sort of vehicle would such a man drive? 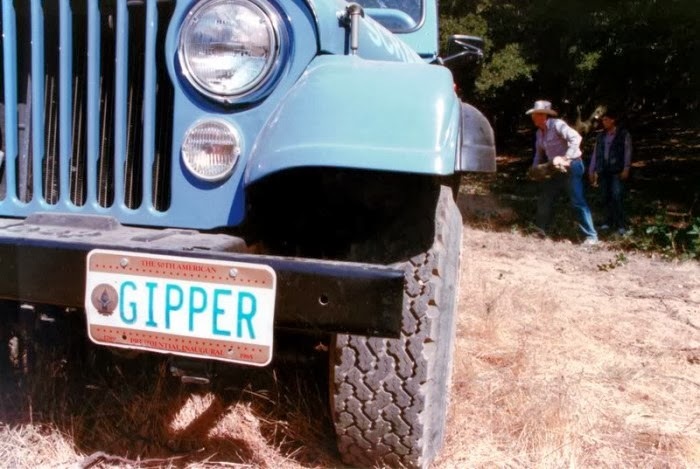 Not just one, but two Jeeps. In 1974, Ronald and his wife Nancy bought a 688-acre ranch in Southern California named Rancho del Cielo to use as a peaceful getaway from the stress of the political world. 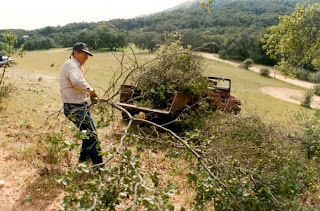 Unlike our current pampered President with his dozens of aides and even a $102,000/year salaried dog walker, Reagan was a tough outdoorsman who wasn't afraid of doing a little hard work himself, so to assist him on the ranch chores he purchased a 1962 Jeep CJ-6. 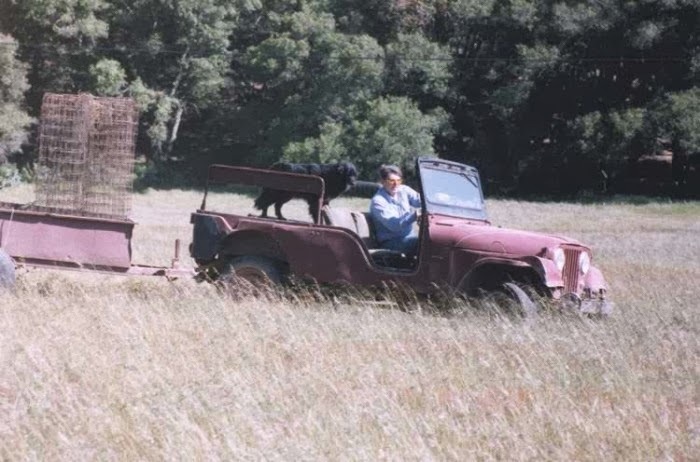 The CJ-6 lived a hard life, but its 134-cubic-inch 72hp F-Head inline-4 and T-90 three-speed reliably put power to the Spicer 18 transfer case, Ramsey PT1J dual-output PTO gearbox, Ramsey 8,000lb PTO winch, and Dana 25/44 axles. "No place before or since has ever given Nancy and me the joy and serenity it does." 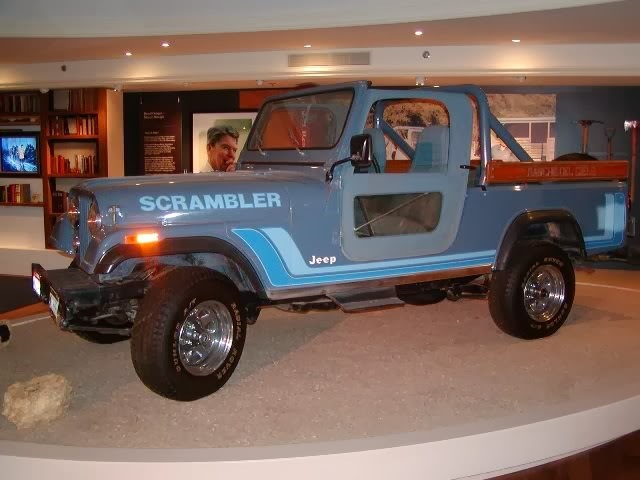 The Reagans' Scrambler was powered by the 4.2-liter inline-6 with the Borg-Warner SR-4 four-speed manual transmission. 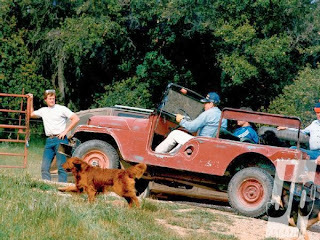 Power was split by the Dana 300 transfer case to a set of wide-track Dana 30 and AMC 20 axles. 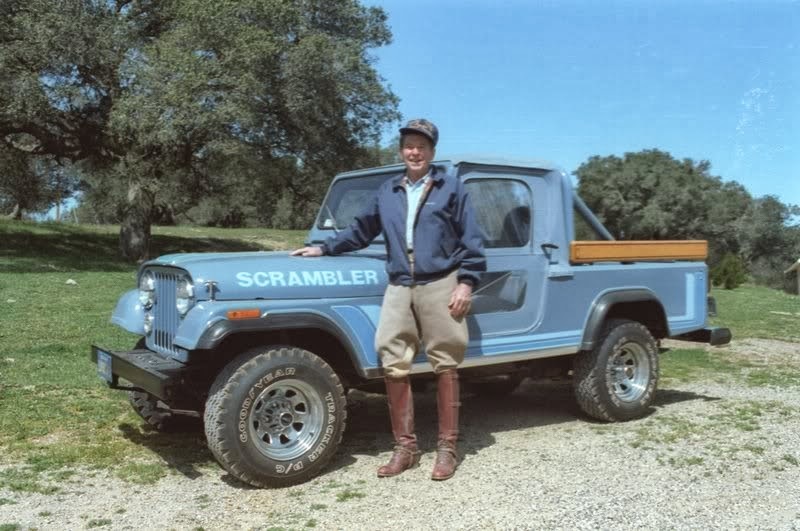 Although Jeep designed and marketed the CJ-8 as a hard-working utility truck, Reagan seems to have preferred to treat his kindly and reserve the hard work for the trusty old CJ-6. 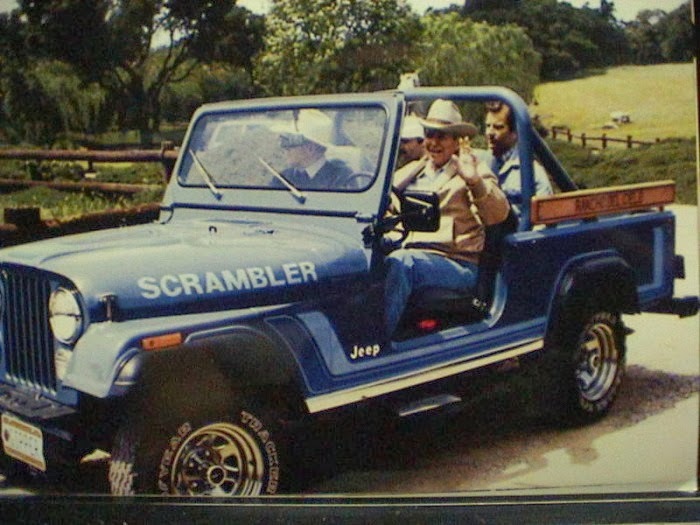 The Reagans used the Scrambler as more of an offroad shuttle for visitors to their ranch, the most famous of whom was the Soviet Union's President Mikhail Gorbachev. 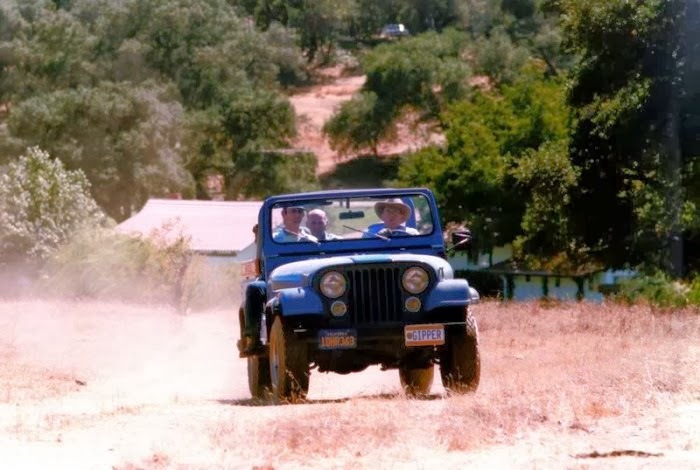 Could a ride in this Jeep, a visit to this paradise, and some quality time together outside of the political world have helped these two opponents whose countries were on the verge of nuclear war resolve their differences and achieve societal prosperity? I like to think so. 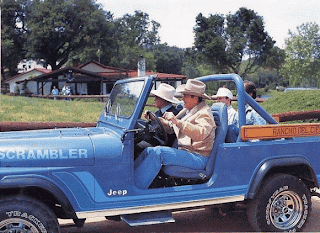 Ronald and Nancy Reagan last visited their ranch in 1995. 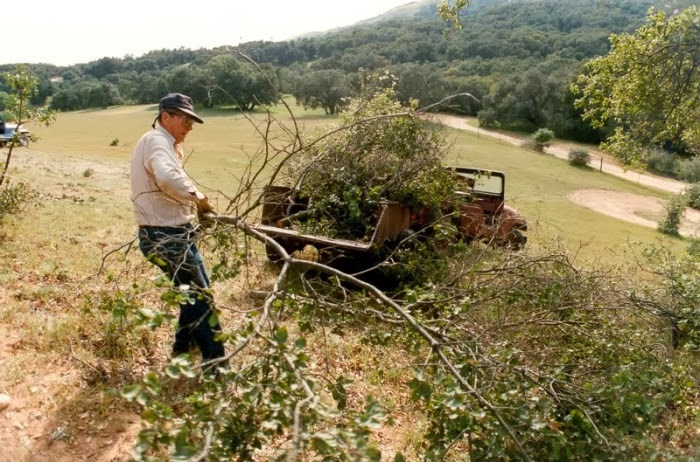 With President Reagan's advancing age and declining health, they decided to donate the Jeeps and sell the ranch to the Young America's Foundation which today preserves Rancho del Cielo as a living monument to Reagan's ideals and values. While both of the Jeeps continue to live at the ranch, only the Scrambler is on public display; the beat-up old CJ-6 lives in the tack barn with the chain saws, mowers, and other tools of the ranch. 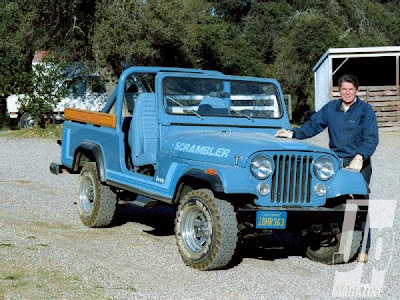 JP Magazine, which is the world's top Jeep-specific magazine, managed to get a special look at the Reagans' two Jeeps a few years ago. You can read the article republished here on their website. If you want to learn more about the Reagan Ranch or visit the President's Jeeps yourself, head over to the Young America's Foundation. 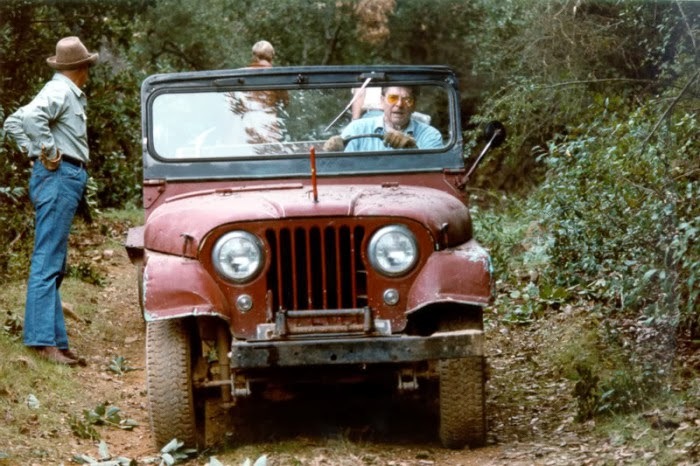 The Jeep Willys CJ-5 (after 1964 4x4 CJ-5) was influenced simply by new company owner, Chef, and the Korean language War M38A1 Jeep. 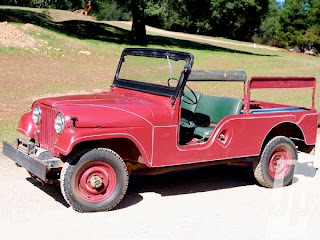 It was meant to replace the CJ-3B, yet that style continued in production. The CJ-5 repeated this design, continuing in production for 3 decades whilst three more recent models made an appearance. 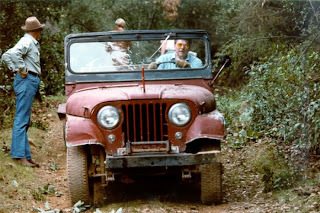 "The CJ-5 has the particular honor to be a vehicle that was hard to destroy off... equaling the greatest production work of please note. "